Like a peacock, your beauty is multiplied when you spread your wings and show the world your stuff! Like a peacock, your beauty is multiplied when you spread your wings and show the world your stuff! 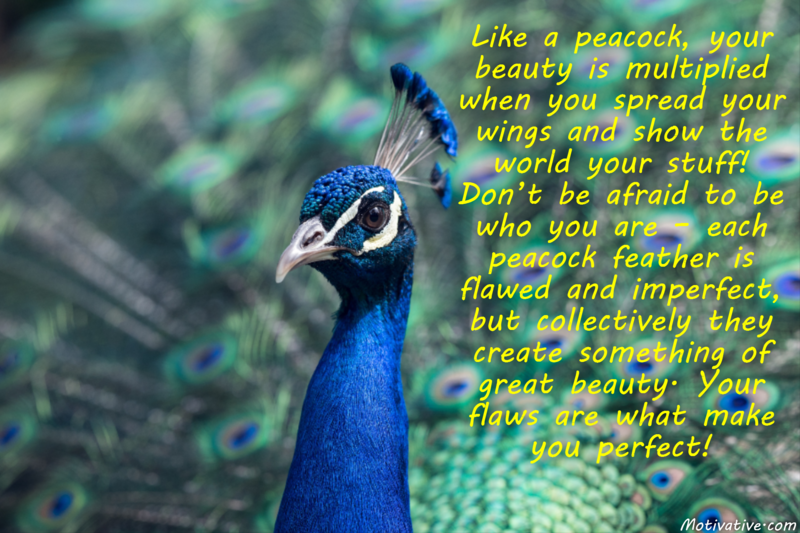 Don’t be afraid to be who you are – each peacock feather is flawed and imperfect, but collectively they create something of great beauty. Your flaws are what make you perfect!